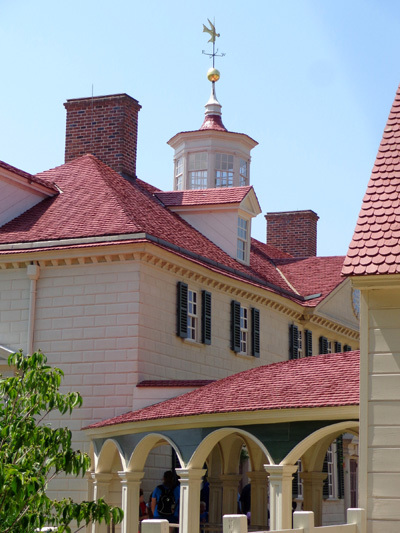 the estate is now one of the nation's most visited historic sites." 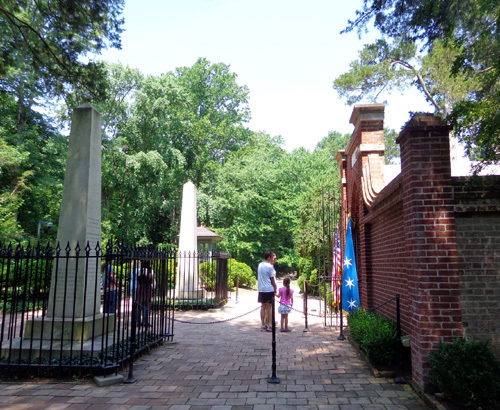 Neither of us has ever been to this historic estate owned by our country's first president, George Washington. We figured we were long overdue -- we were right! It's another one of those American treasures it's good to finally see in person. 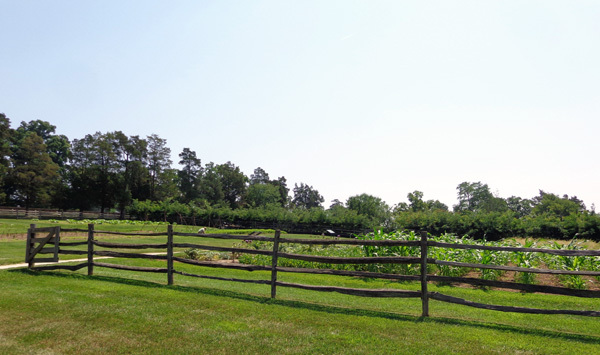 We had a good time touring the estate earlier this week. I was a little surprised how many people were there on a weekday but it wasn't as crowded as the holiday weekend would have been. 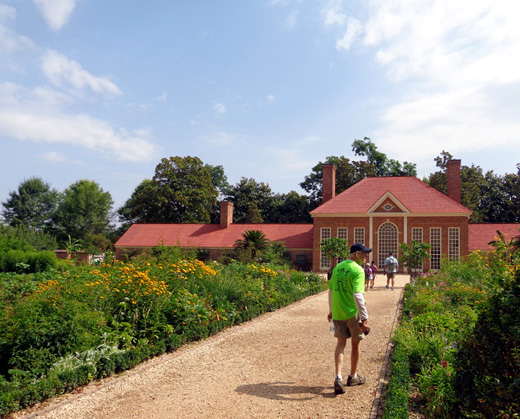 Unfortunately, Mount Vernon Estate is not free like so many of the national treasures in D.C. but we think it's worth the cost, especially if you spend most of the day. There's certainly plenty to see and do. We paid the senior rate of $17 each for tickets to tour the mansion. 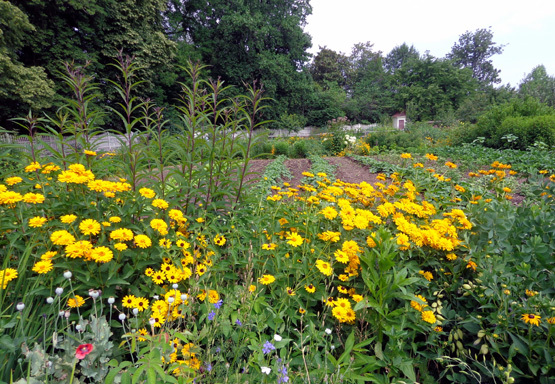 The fee includes just about everything on the grounds. 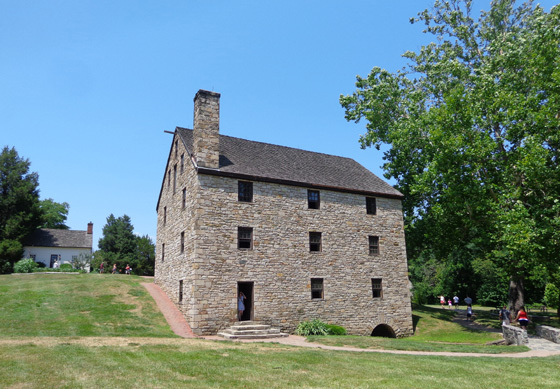 This entry shows some photos of Washington's house, outbuildings, gardens, fields, and tomb, plus replicas of his grist mill and distillery. You can read so much information and view so many professional photos, including virtual tours, on the website link above that I'll be brief with explanations here and mostly just give our impressions. 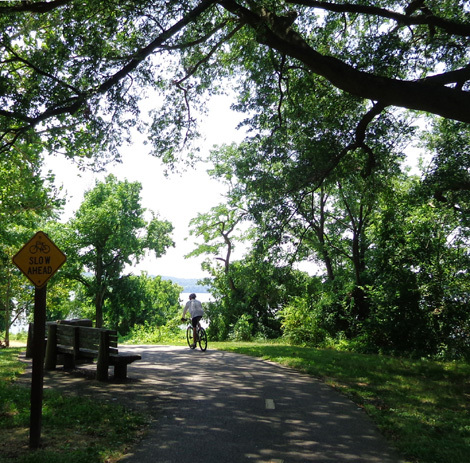 I've also included scenes from the paved multi-use path that runs from the town of Alexandria, VA to Mount Vernon along the wide Potomac River. 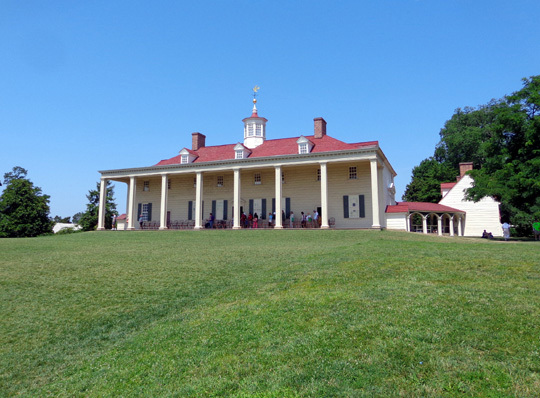 Part of the fun of getting to the estate is driving the scenic, winding George Washington Memorial Parkway about eight miles from Alexandria to Mount Vernon. 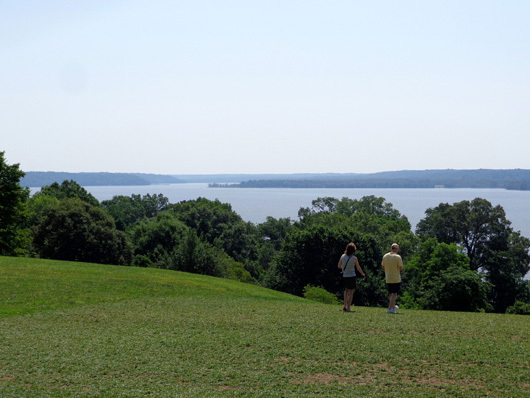 It's a beautiful linear green space that follows the Potomac River. 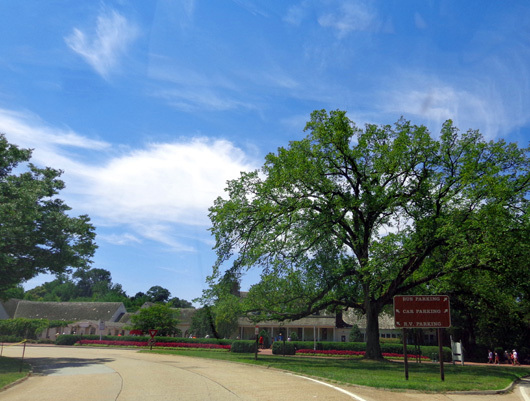 We went to the orientation building first, bought our tickets, and watched a 25-minute film about Washington's war career and what can be seen on the grounds of the estate. 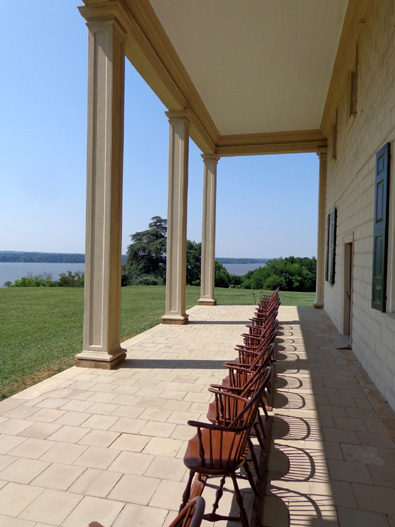 The plantation was about 2,000 acres along the Potomac when Washington first inherited it. 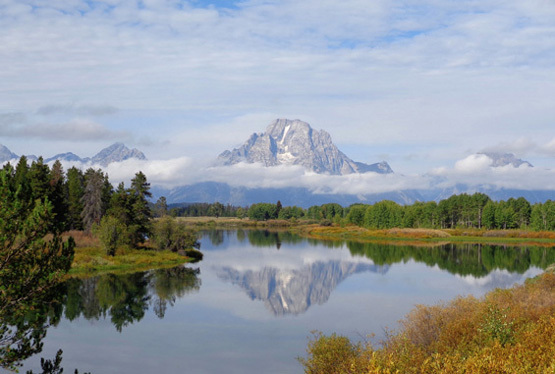 He increased its size to 8,000 acres by the time of his death in 1799 at age 67. I'm not sure how much is preserved now but it's a large area to cover on foot. 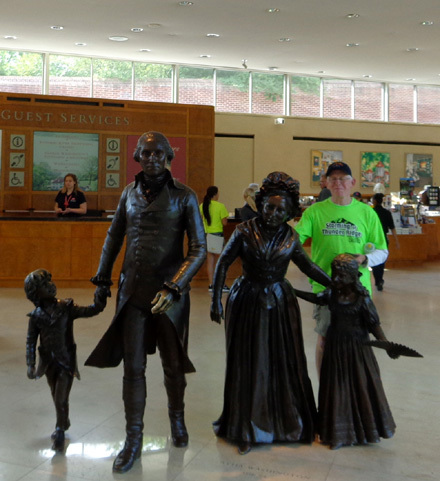 Jim hams it up with the statues in the visitor center. After the movie we had about 30 minutes to kill before our mansion tour began. 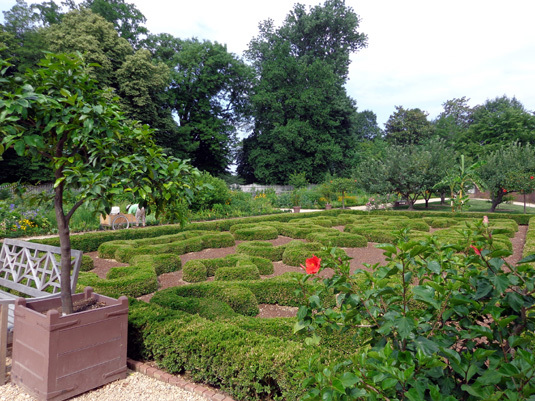 We walked through the nearby upper garden area . . . Inside we were led to about six different areas. Each had an interpreter in period costume who explained the purpose of the rooms and pointed out interesting architectural features and historical details. 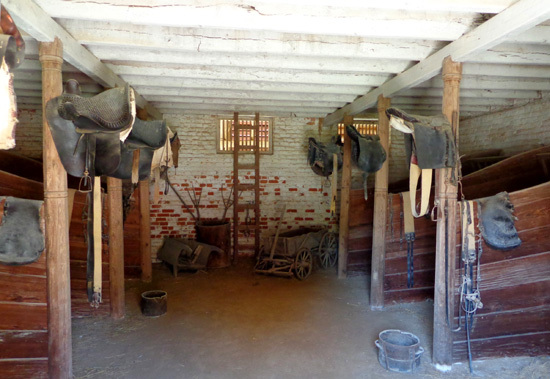 Visitors can take photos just about anywhere on the estate except inside the house. Part of that is to keep the line of people flowing efficiently and part is because the decor is "copyrighted" (i.e., they want you to purchase books that show the rooms). 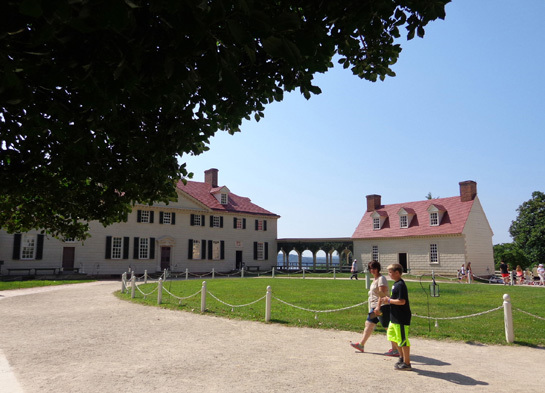 The most interesting take-away for me was the number of visitors the Washingtons put up overnight on a yearly basis -- about 800. Back then there just weren't very many places for travelers to stop each night. 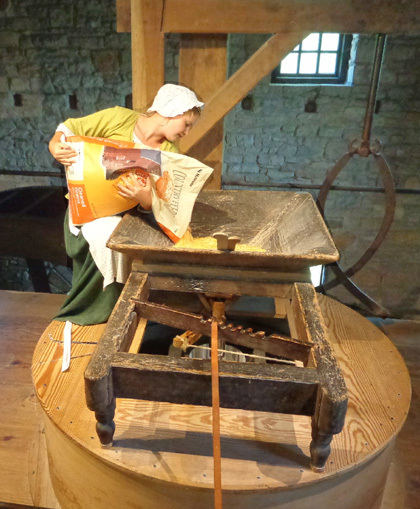 Travelers stayed an average of a week, and were fed and housed at the expense of George and Martha. 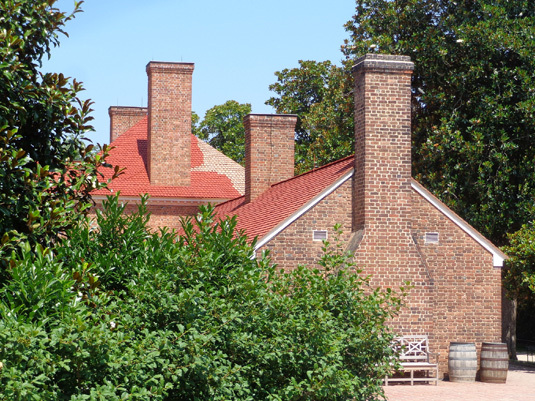 Martha ran the house (with the help of slaves) and George ran the rest of the business of the estate (also with the help of slaves). 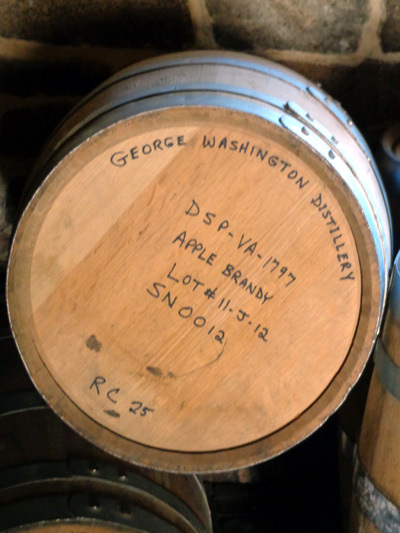 They had a thriving agricultural business going for several years, including crops, critters, and the distillery and grist mill I'll show you later. 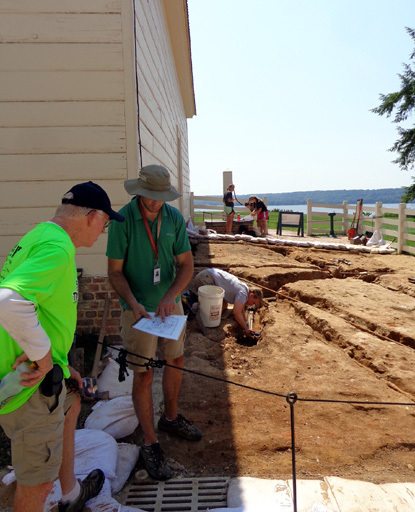 Jim talks with an archeologist; they're still excavating parts of the estate. 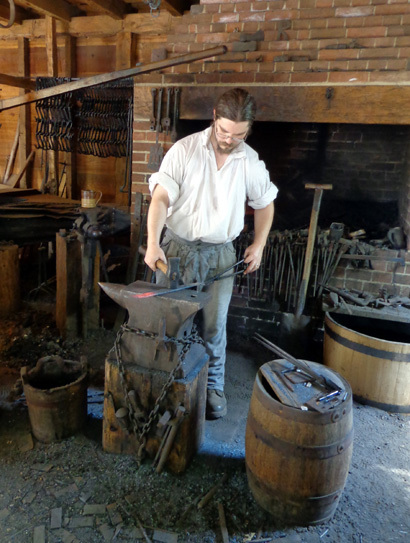 I enjoyed the outbuildings, some with interpreters -- blacksmith shop (one of two guys demonstrating the craft is shown below), spinning house, overseer's house, salt house, gardener's house, servants' quarters, storehouse, clerk's house, coach house, stable, paddock, etc. We walked back to the large building that houses the museum, auditorium, food court, restaurant, inn, and gift shops. Jim got a sandwich to eat, then we went back to the car to get our bikes. The paved bike trail reminded me a little bit of cycling on the Coastal Trail in Anchorage. 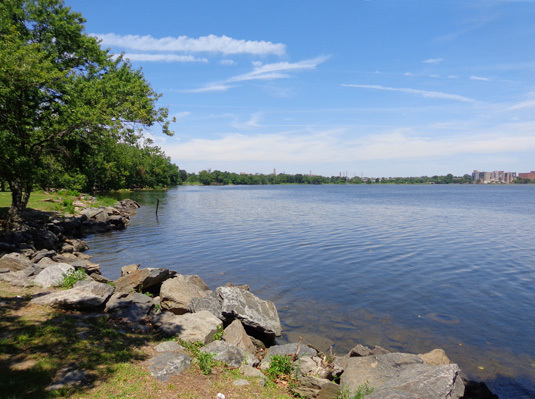 Some of it is near the river, some on the other side of the parkway. 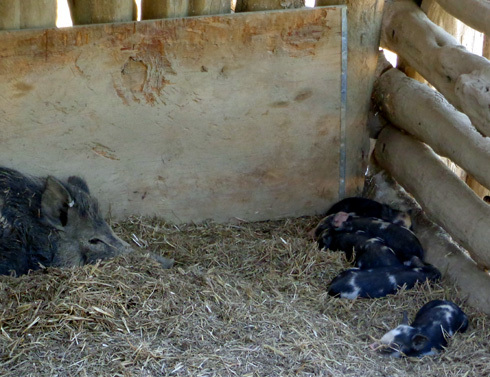 Some is shaded, some in the sun. 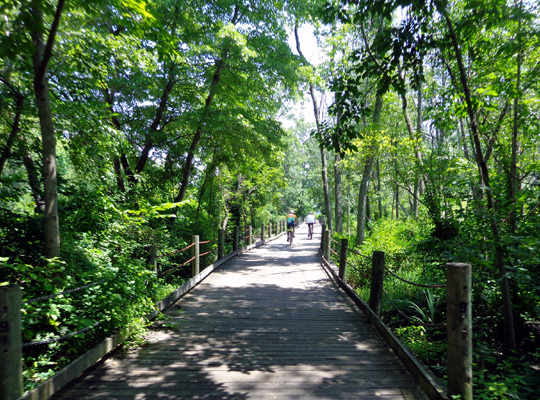 It's very scenic and interesting, with lots of curves and bridges over ravines and wet areas. It was hillier than I expected, and more narrow. I'm not sure I'd want to walk on it with a dog or little kids -- too dangerous with all the bikes. I'm very glad we didn't ride on the weekend. On Sunday when we were driving on the parkway we could see a lot of people walking, running, and cycling on the path. There were many fewer people on Monday when we rode on it. 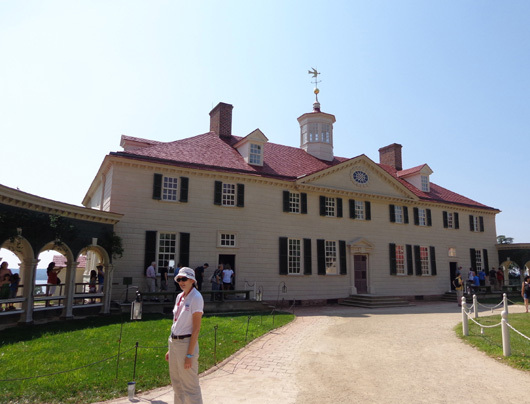 Because of the heat and the time (can't leave Casey more than about 7 hours) we turned around after five miles and rode back to the parking area at Mount Vernon. 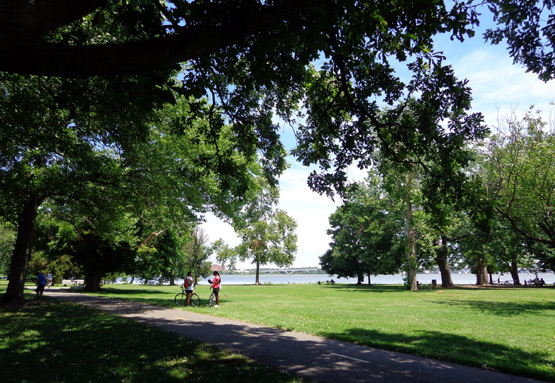 When we come back to D.C. in the fall to get the car we want to ride our bikes all eight miles on the bike path (and back another eight miles). There are parking areas a couple places farther north that are closer to Andrews AFB. 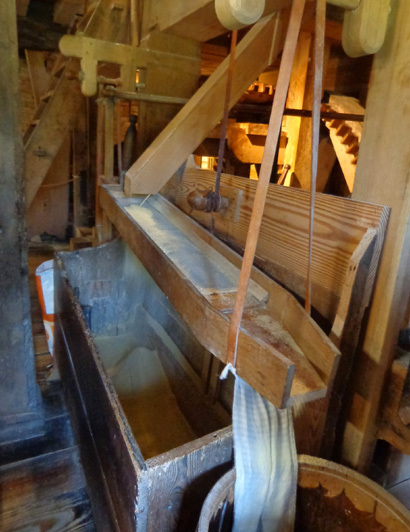 After our bike ride we drove to see replicas of Washington's grist mill and distillery in a scenic setting about three miles south of the visitor center. 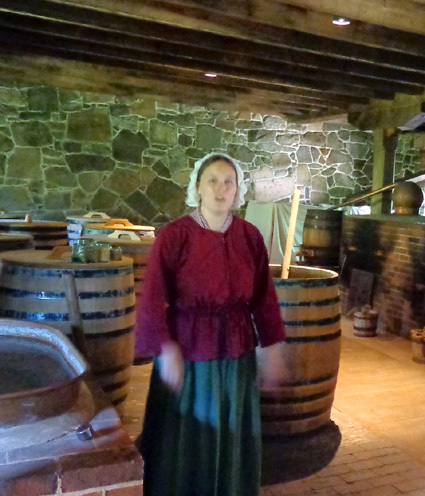 There was no additional charge to take a tour of both buildings and listen to interpreters in period costume. 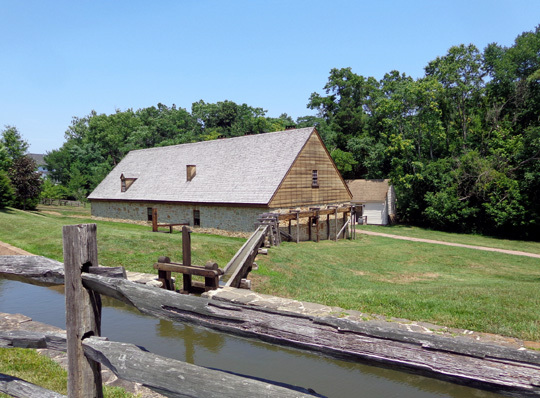 Both the grist mill and distillery buildings are reconstructions of the highly successful original operations in use on Washington's estate in the late 1790s. Upstairs in the distillery is a museum. 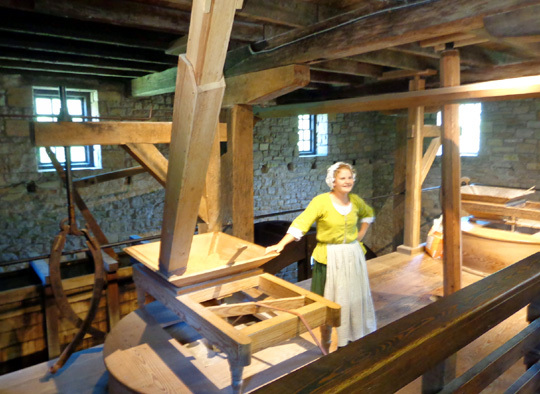 And yes, the reconstructed distillery produces whiskey and the replica mill produces wheat flour and corn meal -- no samples during tours, though.